Each year on Thanksgiving I always wear a super cozy outfit (something oversized so I can eat everything lol), but I still love to do my makeup up and add a bit of glam. This year I'm going for a bronzy, metallic eye (using NARS 'Telesto') and a deep lip color. I'll be using a liquid lipstick of course so that it stays in place while eating! I plan to add a bit of glam with some Wispies and of course my favorite highlighter of the moment (Champagne Pop). 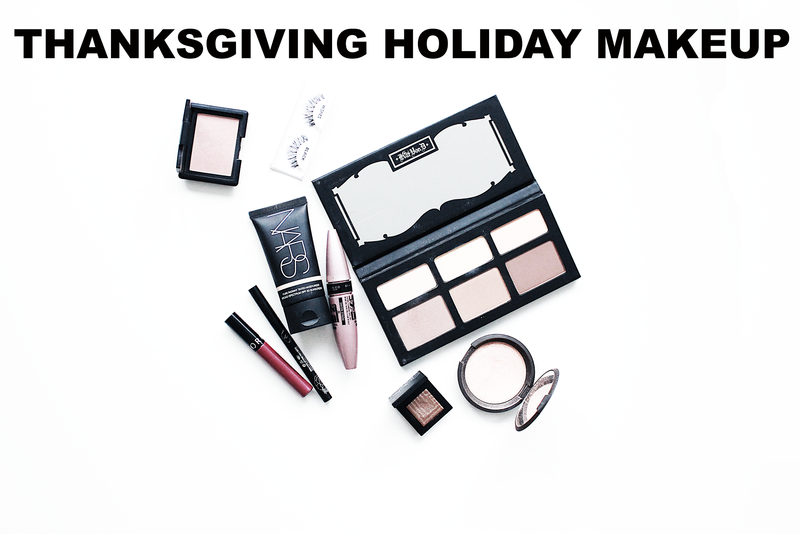 What are your go-to holiday looks? If you are celebrating Thanksgiving what look are you planning to wear tomorrow?